CE Mark Desktop External battery charer, NiMH or NiCad 10 cell, 12 volt charger, 6 cell 7.2 volt charger, 7 cell 8.4 volt charger, 8 cell 9.6 volt charger and 9 cell 10.8 volt charger international voltage input applications. 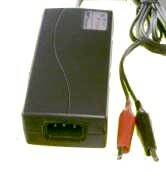 Lowest cost quality charger for NiMH and NiCad batteries. They now have the 2-prong C8 socket. This a -delta V termination fast battery charger with a microprocessor controlled charge and sense LED display and preset time-out. 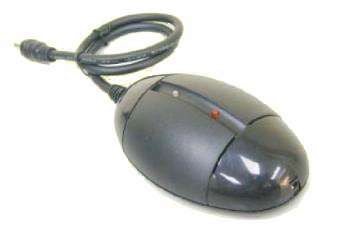 90-240 VAC input, with an IEC AC cord connector for easy country adaptation. Universal desk-top AC charger charges packs containing 8, 9 or 10 cells without the need of a thermistor. Full specifications are given below. Weight 250 grams, 0.25 kg, 0.55 pounds, 9 oz.